AmberLina is a leading logistics services company, we serve an impressive client base of national and international organisations from a wide variety of sectors. We provide logistics services nationally & internationally, whether it is transportation, supply chain solutions, storage and distribution, customs, security and insurance. Our company has many years of experience in these industries has been able to create a network of associates across the length and breadth of country, which helps us to provide safe, reliable, economical and customised logistic solutions to our clients and partners. Our logistics and distribution services London are cost-effective and suitable for companies of all sizes. We also have clean and secure spaces for storage designed to meet the needs of a wide range of sectors, we are well placed to provide the efficient service that your business rightly demands. We have been highly praised by our clients for our customer care, accuracy and fast turnaround. Our experienced, knowledgeable and expert employees, you can be confident that your consignment will always be handled with the utmost care and attention to detail. Our logistic teams consist of professional individuals with years of experience, starting from the pre-loading of cargos to post-delivery, we take care of the entire process of logistical transport as well as storage and distribution on your behalf. 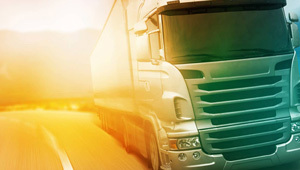 We are a authorised, insured and a licensed logistics services provider. We provide high quality services to our clients, which is what has helped us become one of the most reliable logistics services provider locally and nationally. Find out how we can help you and get a online logistics quote, contact us.